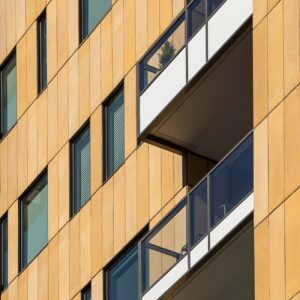 Boasting panel depths as thin as 0.75 inches (19mm), innovative ARCIS™ ultra-thin precast panels provide a versatile, lightweight architectural cladding option that offers the remarkable durability and versatile aesthetics of precast concrete. Project profiles, design resources and more are available at ARCISpanel.com. 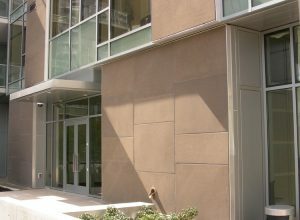 Ideal for use as a rain screen or cavity wall system, sealed exterior façade or accent panel, ARCIS panels use non-corrosive, aerospace-grade stainless steel prestressing – braided cable strand – placed longitudinally and transversely in the panel face to impart strength, crack control and durability while allowing concrete cover to be minimized. The pretensioned steel tendons are placed off the midplane of the panel to help resist curling, warping and cracking in panels that can be sized up to 8’ x 15’ (2.4m x 4.6m) and as small as 20-30 Ft² (approximately 1.8-2.8m²) in total area depending upon panel orientation. As a result, ARCIS panels can weigh nearly 90 percent less than conventional six-inch thick architectural precast, with final installed weights of 9.4 psf (46 kg/m²) to 25 psf (122 kg/m²). Thinner, lower-weight exterior wall panels mean a less robust and lower-cost superstructure, smaller and less expensive cranes or hoists for installation, reduced shipping expenses and more usable interior floor space. 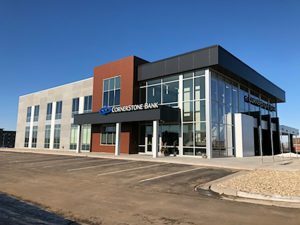 As with conventional precast concrete products, custom finishes, reveals, insets and colors can be provided through the use of form liners and pigmented concrete. 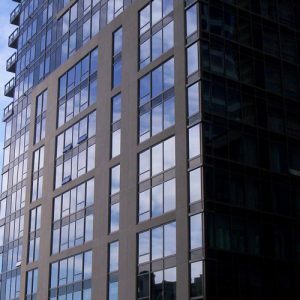 ARCIS has been used on a variety of building types in the Pacific Northwest since 2003. A new licensing agreement with AltusGroup (altusprecast.com) – the collaboration of top precasters dedicated to innovation in the built environment – will dramatically expand the availability of ARCIS technology throughout North America. Five of AltusGroup’s current members are now marketing ARCIS products: Knife River Prestress (out of its Portland, Ore., facility), Armtec (Richmond, B.C. ), Enterprise Precast (Omaha, Neb.) Gage Brothers (Sioux City, S.D.) and EnCon United (Denver, Colo.). More AltusGroup precasters are expected to join their ranks in 2016 and 2017 including Europe and International additions. ARCIS panel connections are made using embedded stainless steel anchors that are attached directly to the prestressing strand. 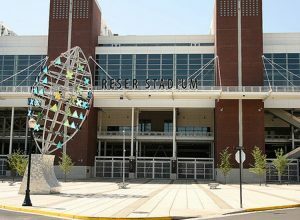 The connection to the building structure is accomplished with screw fasteners. No welding is required, which dramatically speeds and simplifies fieldwork. ARCIS technology complements AltusGroup’s award-winning CarbonCast® Enclosure Systems and Double Tees, which comprise more than 34 million square feet of precast surface area since their introduction. The first-ever national partnership of precast companies dedicated to “innovation powered by collaboration,” AltusGroup challenges the brightest minds in precast to develop, speed and perfect technologies that improve the built environment. Products include the award-winning CarbonCast line of products featuring C-GRID carbon fiber grid reinforcing and ARCIS ultra-thin precast panels for rainscreens and other applications. The nearly two dozen AltusGroup companies have an unparalleled network of manufacturing plants, technical staff and sales personnel to ensure architects, engineers and contractors get the help they need—and the quality and performance they expect. For more information, visit altusprecast.com or call 866-GO-ALTUS.